Within the next few months you'll have a baby attached to your hip! Let your guests join in spirit with these travel size mint tins perfect for your purse. You can carry them anywhere! Our Elite Design personalized mint tins allow you to customize your order with messages, names, dates, colors, and designs! 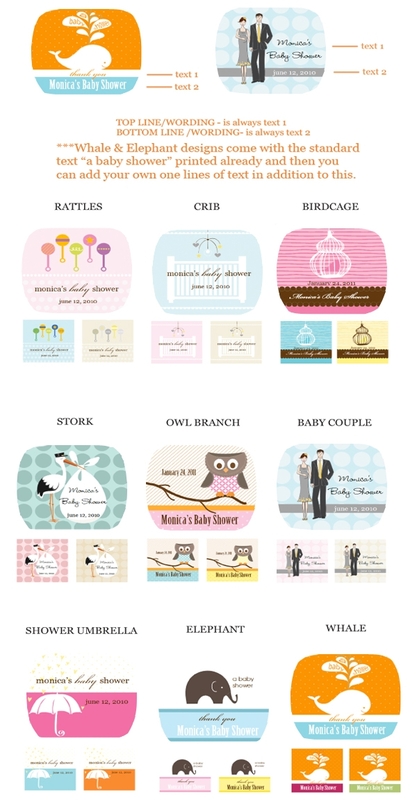 Whether you're looking for baby animals or delivering storks, we have something just for you! These mint tins are the perfect travel size favor that will always remind your guests of your new little companion. Tins come personalized with your names and date (or message). CONTENTS NOT INCLUDED; you are free to fill them as you wish.